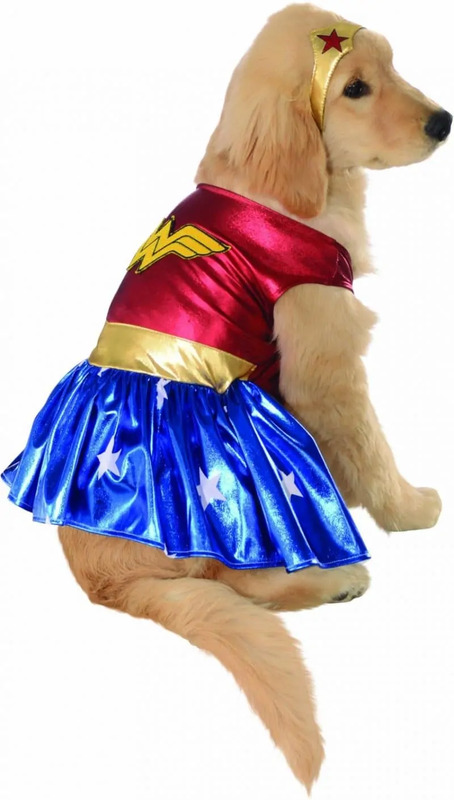 Do you have a Halloween costume picked out for your pet? 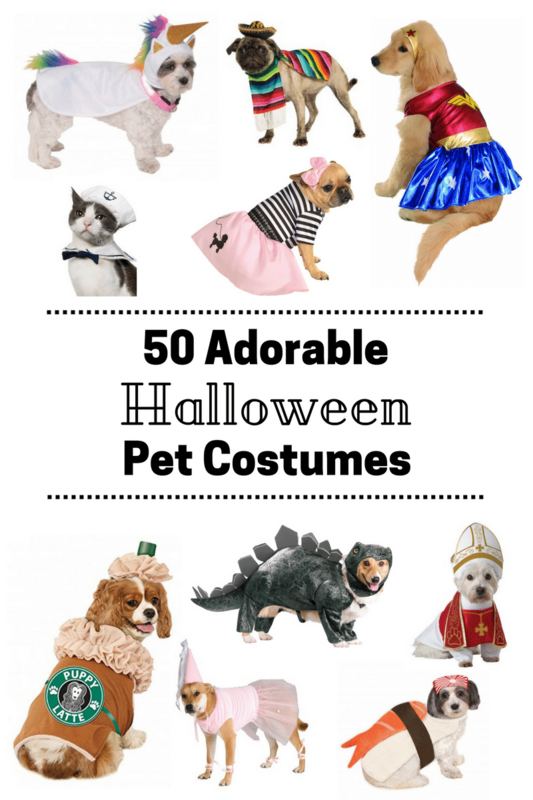 If not, you are in luck because I have gathered up 50 absolutely adorable pet Halloween costumes. 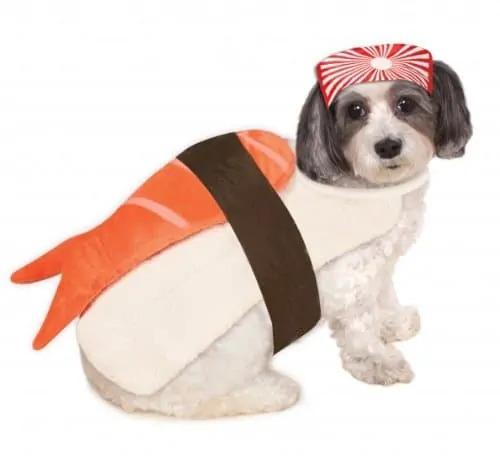 Unfortunately for cat owners, nearly all of the pet Halloween costumes in this list are for dogs. Finding cat Halloween costumes just isn't as easy as I thought it would be. Perhaps that is because cats tend to be less tolerant of being dressed up! 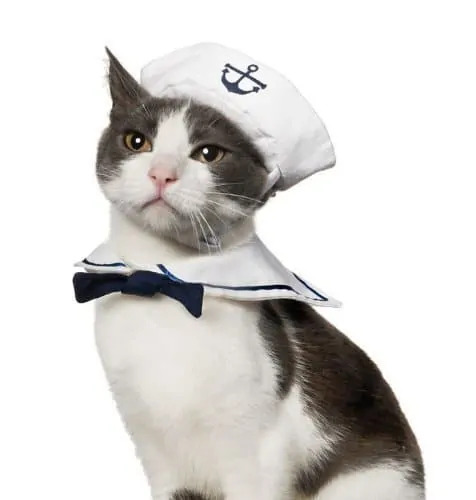 Nevertheless, there are links to a few cat Halloween costumes mixed in here as well. 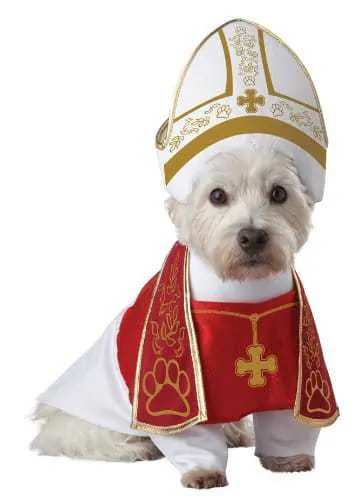 I would love to hear what you will be dressing your pets up as this Halloween so please be sure to drop a comment! Happy shopping and Happy Halloween! These are the best pet costumes ever. Thanks for sharing! These costumes are all so adorable, and I really love that latte one, how cute is that. Laughing…so many cute costumes and poor dogs! LOL. I’m sharing this with my baby bro who has a Shitzu. I love the Stegosaurus Dog Costume. The cat costumes are cute too. I wish my pets would be more amenable to this but they are not. So cute. This post of pet Halloween costumes made me smile!! 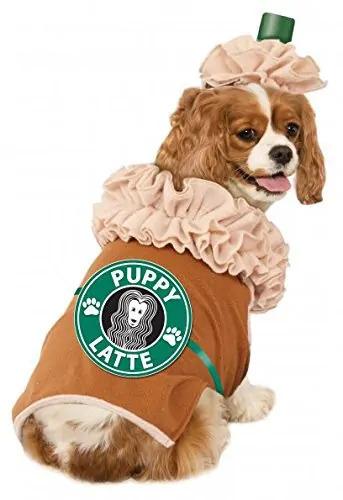 Cute costumes and Puppies! I don’t want to rush through the weeks but Halloween will be a blast this year! Thanks for sharing! Very adorable. 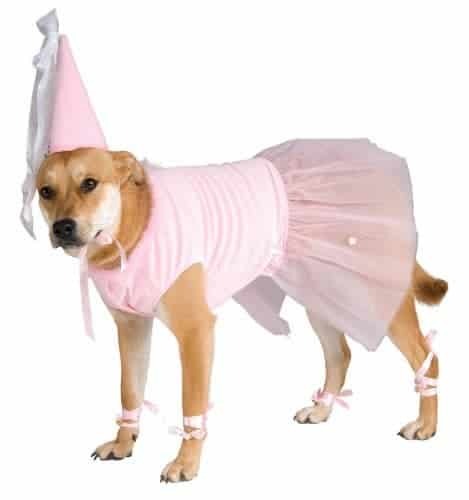 I’ve never had a pet that would tolerate a costume. These are too cute. I love the triceratops costume. I dunno if my pups would let me do this to them, but I may give it a try anyway!! 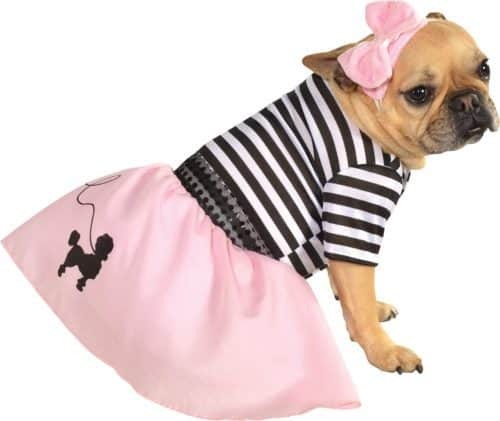 These pet Halloween costumes are too cute! These are cute! 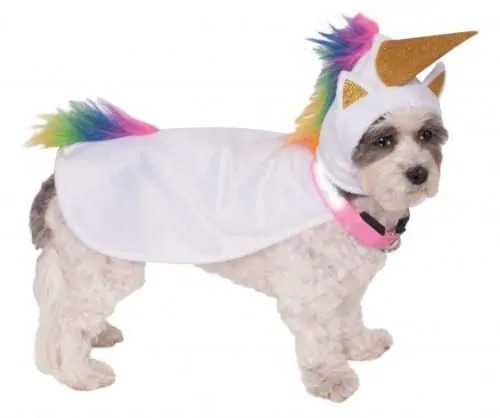 I love the Animal Planet Stegosaurus Dog Costume! Those are very mellow pets that will allow their owners to do this. These are so cute. 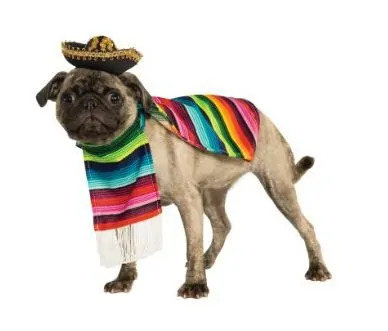 I don’t know if my dogs would keep these on. These costumes are so cute! I love dressing up my dog babies! 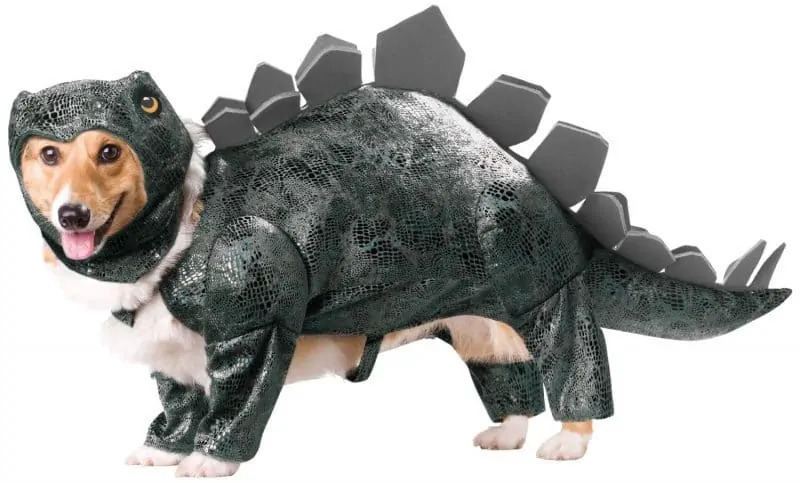 Oh my gosh, the dog stegosaurus costume is so cute!!! Awwww love the costumes!!! I am always dressing my lil girl in costumes for Halloween! I love all of these custumes, especially the lady in the tramp.